The U.S. Environmental Protection Agency notified Pennsylvania Friday it will be developing Pennsylvania-specific goals for reducing nutrients and sediments in the Pennsylvania portion of the Chesapeake Bay Watershed to help the Commonwealth get back on track to meeting its 2025 TMDL commitments. The notice was part of a new milestones progress report EPA issued reporting on how states are doing in meeting their Chesapeake Bay Watershed cleanup milestones. For Pennsylvania, there were no surprises-- it was bad news. Half of Pennsylvania is within the Chesapeake Bay Watershed drainage area. Pennsylvania did not meet its 2015 goal for nitrogen and sediment pollution reduction (although it did for phosphorus) and will not meet its 2017 goals for nitrogen and phosphorus, but will meet its goal for sediment. EPA already has Pennsylvania at so-called backstop levels for agricultural and urban/suburban stormwater sectors. This means they have substantial concerns with Pennsylvania’s strategy to implement measures to achieve the goals and it may take federal action to get the state back on track. In its evaluation Friday, EPA said Pennsylvania’s latest plan for getting its Chesapeake Bay cleanup program back on track does not include any milestones to increase the number of agricultural conservation practices on the ground and no additional requests for more resources to make that happen. 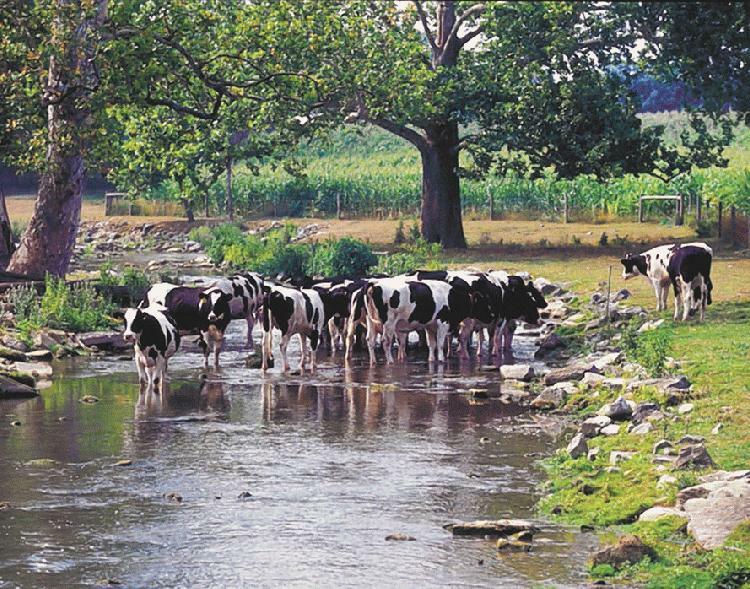 EPA specifically offered Pennsylvania contractor assistance to build the capacity for developing Manure Management Plans and Agricultural Erosion and Sedimentation Plans in priority watersheds in support of the state’s efforts. EPA said it will also be conducting its own assessments (meaning inspections) of animal feeding operations to determine whether the farms are complying with state Manure and Erosion and Sedimentation Plan requirements. 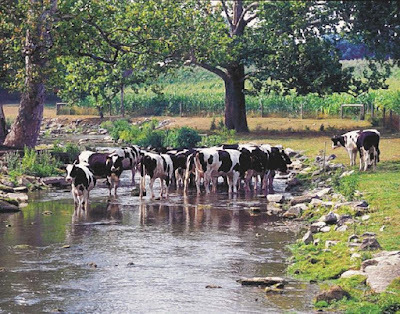 EPA said it may also offer assistance to local initiatives designed to assist Pennsylvania in achieving its nutrient and sediment reduction goals. EPA recommended, Pennsylvania and the other states in the Susquehanna River Watershed, develop a strategy to reduce nutrient and sediment loads now coming through the Conowingo Dam as a result of its reservoir filling up and losing its trapping capacity. -- DEP did not develop a stormwater offset [credit trading] program and is recommending to stop pursuing a stormwater offset program. Pennsylvania needs to explain how stormwater trading and offsets will be addressed. The detailed assessment of Pennsylvania’s progress in meeting its own Chesapeake Bay Watershed cleanup commitments is available online. In reaction to the U.S. Environmental Protection Agency’s milestones report Friday, Harry Campbell, PA Director of the Chesapeake Bay Foundation, said, While Pennsylvania is on track to meet its 2017 target for reducing the amount of sediment damaging our waterways, it has a long way to go if it is to reduce nitrogen and phosphorus pollution, mainly from agriculture. “Pennsylvania’s rebooted strategy can be a catalyst for the Clean Water Blueprint to reduce pollution damaging our rivers and streams, but without the necessary funding it will not succeed. Sadly, it is still unclear when or if those vital resources will be made available. “It is time for Pennsylvania to make cleaning up our rivers and streams a priority. Our citizens have a right to clean water and as we approach the clean-up mid-point of 2017, it is unacceptable that the Commonwealth continues to languish in meeting its goals. For more on Chesapeake Bay-related issues in Pennsylvania, visit the CBF-PA webpage. Click Here to sign up for Pennsylvania updates (bottom of left column). Click Here for a copy of CBF-PA’s most recent newsletter.